[Blind Gossip] This hit-making musician was married to an uptown model. They were married for more than five years before they divorced. We just found out that she actually left him… for a woman! In fact, the woman is the the daughter of another famous musician! Having your wife leave you for a woman? That’s gotta sting! [Optional] Do you think Musician was surprised by his wife’s choice of partner? Mark Ronson is a DJ and musician. He won a Grammy for Uptown Funk. Joséphine de la Baume is a French model and actress. They were married in 2011. They filed for divorce in 2017. Because she left him for another woman! Coco Sumner, the daughter of Sting! Mark Ronson is heading into 2019 a single man. According to court documents obtained by The Blast, the mega-producer — whose song “Nothing Breaks Like a Heart” with Miley Cyrus is huge right now — settled his divorce with model Joséphine de La Baume earlier this year. The terms of the divorce are sealed but the couple did not have any children, so there are no issues regarding spousal support or custody. Both parties are now officially single. Since splitting with de La Baume, Ronson has been linked to singer Samantha Urbani and then recently with another singer, Rebecca Schwartz. Mark Ronson’s wife filed for divorce in 2017, citing irreconcilable differences. The couple was married for a little more than five years. This is the first divorce for both, though Ronson was previously engaged to “Parks and Recreation” star Rashida Jones in 2003. Ronson is best known for producing the Bruno Mars hit song, “Uptown Funk.” He won the Grammy for Record of the Year and for Best Pop Duo/Group Performance in 2016. “Irreconcilable differences” = “My wife might be a lesbian.” Yes. That’ll do it. By the way, Mark Ronson is the brother of Samantha Ronson – who famously dated Lindsay Lohan a few years ago – so if his wife is a lesbian, you would think he’d have better gaydar. Did you catch the clues? “Uptown” = Uptown Funk, Mark Ronson’s biggest hit, and “That’s gotta sting” = Sting, Coco Sumner’s father. Congratulations to Amysaetre for being first with the correct response! billy joel and christie brinkley??? his song uptown girl was about her and she was a model.. no idea who the woman is though.. celine dion? diana ross had a hit “honey bee” with the supremes. This must be Katie Lee who was married to Billy Joel, and one of Sting’s daughters? I’m guessing Eliot? 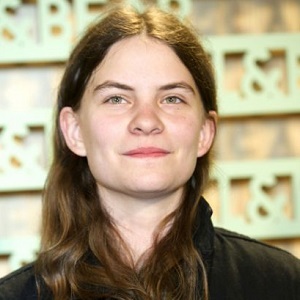 Sting’s daughter Eliot Sumner is the other woman for sure. Mark Ronson’s wife left him for Sting’s daughter who actually looks manlier than him. Based on the clues, Billy Joel (Uptown girl song) and Sting’s daughter? Mark Ronsan’s ex wife and Sting’s daughter. Clues being “uptown” – his album Uptown Special. This was very tricky, because it seems to refer to Billy Joel and his “Uptown Girl,” Christie Brinkley. Other clue is the reference to Sting (“that’s gotta sting”) and the related blind is about his daughter. Mark Ronson’s ex-wife left him for Sting’s daughter. Was he surprised? No idea, but probably not. Clues: Uptown Girl is a Billy Joel song and Christie was in the music video. Coco Sumner, Joséphine de laBaume and Mark Ronson. Very confusing. Worded to infer Christie Brinkley left Billy Joel for Sting’s daughter? Lolz. Billy’s wives aren’t gay so not sure who this is saying. Clues: That’s gotta sting! (Sting’s daughter is Cocoa.) I don’t get the Uptown model clue, as I first thought it was Christie B and Billy Joel, until I saw that this just recently happened. Ronson did Uptown Funk with Bruno Mars. Katie Lee and Billy Joel? If this is what I call older but new news then I would have to guess this is about Bill Joel and Christie Brinkley . I have always heard that a lot of female models are AC/DC while the male ones tend to be out and out gay. TOO easy, Joel and Brinkley. Wife’s New Girlfriend: One of Sting’s daughters. Fuschia Sumner is the eldest so I will guess her. No idea if he had a clue or not. I feel like this is about Billy Joel and Katie Lee because of the Uptown Girl comments, but she recently got engaged to a much younger man, so was she with a woman before this guy or what? This is a weird one. Clues: Uptown Girl, uptown model, That’s gotta sting!